Sometimes, big stars aren't the best casting choices. Here's why the latest film from James Ponsoldt was disliked by critics and audiences alike. Nobody sets out to make a bad movie. So why did cautionary tech thriller “The Circle” — adapted by lauded writer-director James Ponsoldt (“The Spectacular Now,” “The End of the Tour”) and beloved novelist Dave Eggers from his own 2013 bestseller — earn such negative reviews (43 on Metacritic, 17 on Rotten Tomatoes) and bomb at the box office ($9.3 million in 3,163 theaters)? The movie went wrong in five significant ways. 1. The movie was foreign financed. 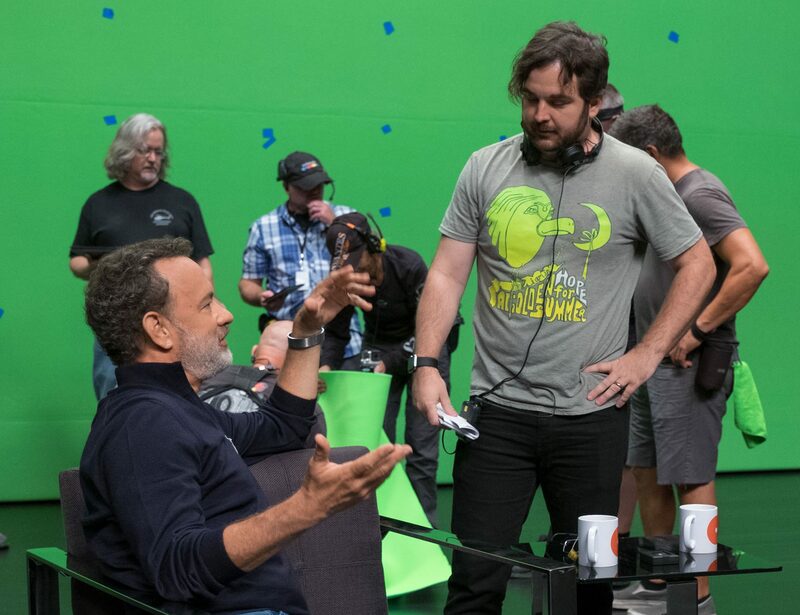 “The Circle” was developed by A-list ex-DreamWorks producers Walter Parkes and Laurie MacDonald’s Parkes+MacDonald Image Nation, which raised financing from Imagenation Abu Dhabi FZ and foreign sales company FilmNation on the power of Tom Hanks, who was the first star on board via his Playtone banner. In order to raise an $18-million budget, globally bankable star Emma Watson was cast in a central leading role that demanded she be in every scene. Veering in tone from satiric comedy to naturalistic drama, “The Circle” follows wide-eyed Mae Holland’s swift rise within a burgeoning Silicon Valley tech company (imagine Facebook and Google combined; the campus resembles Apple’s new headquarters). The film is told from her perspective, and required a far more charismatic actress. We lose sympathy for Mae as the narrative omits vital connective tissue that might explain just how and why she becomes a willing tool of The Circle. Watson was a key member of the ensembles in the blockbuster Harry Potter series and worldwide musical smash “Beauty and the Beast,” which solidified her global stardom. While she sagged in non-crucial roles in “My Week with Marilyn” and “The Bling Ring,” she was well cast in “The Perks of Being a Wallflower.” Clearly, Watson can shine with the right director, but “The Circle” required too much of her. With Ponsoldt’s prior actresses Mary Elizabeth Winstead or Shailene Woodley in the role, the movie might have turned out much better — even on a smaller budget. Hanks does not help matters in an overinflated supporting role as the amiably villainous co-founder of The Circle. He’s too big for the room; his familiar stardom is distracting. And charismatic John Boyega is wasted as a mysterious Circle co-founder. We want more of him every time he comes on screen, but he just fades back into the shadows. 2. “The Circle” is a feathered fish. The movie is neither the sort of smart and edgy indie that A24 could market, nor a glossily entertaining commercial studio vehicle. It doesn’t appeal directly to younger Watson fans or older Hanks fans. “The Circle” therefore satisfies neither critics nor mainstream audiences. It’s what industry insiders like to call a ‘tweener. 3. EuropaCorp and STX Entertainment partnered on a too-familiar movie. Recent years have seen a proliferation of deep-dive narratives on the information age, from the psychological thriller territory of ‘Mr. Robot’ to the parodic extremes of ‘Silicon Valley. Ponsoldt’s project is stuck in between those two extremes. On the one hand, it’s an Orwellian drama about surveillance society; at the same time, it’s a sincere workplace drama about young adulthood that shoehorns in some techno-babble for the sake of deepening its potential. 4. Dave Eggers is box-office poison. As a novelist, Eggers has delivered such bestsellers as “A Heartbreaking Work of Staggering Genius,” “Zeitoun,” and “A Hologram for the King,” which also was turned into a movie starring Hanks that earned mild reviews and poor box office ($7.7 million domestic). His brand of ironic, self-referential satire works better on the page, where the writer can control the tone. As a Hollywood screenwriter, Eggers adapted Maurice Sendak’s children’s classic “Where the Wild Things Are” for Spike Jonze, a well-reviewed but expensive ($115 million) 2009 Warner Bros. box office dud ($99 million worldwide). He and his wife Vendela Vida also wrote 2009 family comedy “Away We Go,” directed by Sam Mendes and starring John Krasinski and Maya Rudolph, which also earned mild reviews and piddling box office ($10 million worldwide). Gus Van Sant’s 2012 drama “Promised Land,” starring Krasinski and Matt Damon and based on Eggers’ story, fared no better on Metacritic or at the box office ($9.3 million worldwide). 5. Expectations were high for writer-director James Ponsoldt. Next up: Ponsoldt is writing “Wild City,” an original idea for Disney that could give him an even bigger budget. Let’s hope he regains his once-sure footing.